Over three days this week, the AmeriCorps Team taught a group of fifth graders from Salish Coast Elementary School about whales of the Salish Sea. 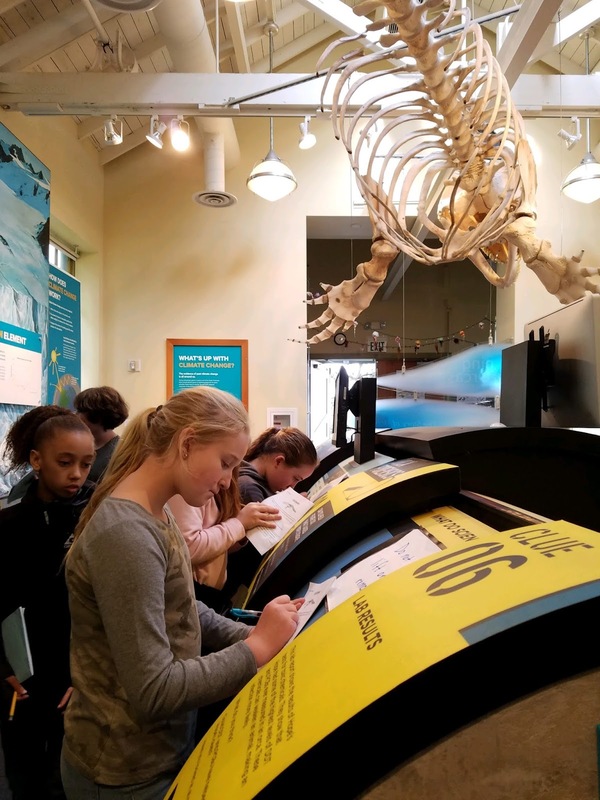 This education program is jam-packed with information, games, and activities about various species of whales. Around 75 students split into three groups and rotated between a few different classes. While many of the students had visited the PTMSC prior to this week, very few of them had the opportunity to transform themselves into an orca whale, as they did in a couple of these classes. The material ranged from learning about ocean acidification, to assembling a gray whale skeleton, to becoming orca whales finding their pod (signature whale calls and all). My personal favorite was the gray whale class, in which all students worked together to reassemble the vertebrae and ribs of “Spirit,” our full gray whale skeleton. The last activity of the 3-day-long schedule was a “Town Hall” activity in which the students were split into four stakeholder groups: the maritime industry, the public, whale researchers, and the southern resident killer whales. They discussed a few of the Orca Task Force recommendations recently proposed to the governor. Each of these recommendations were ideas for potential future laws and regulations protecting the southern resident killer whales. Because this activity was concerning a real-time issue, I saw the students begin to think of the issue of environmental and noise pollution in a more tangible way. They began to see that their involvement could potentially make a difference. 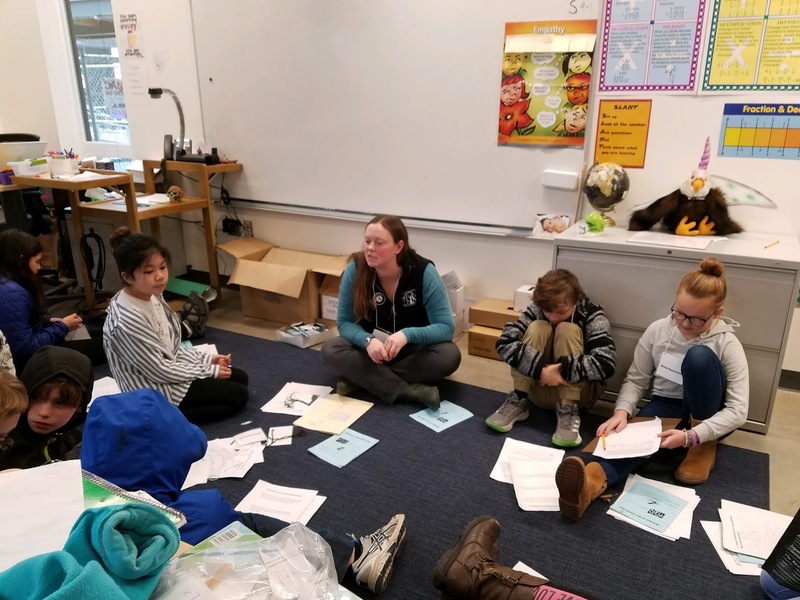 In my experience, it can sometimes be a challenge to get all students engaged and interested in the importance of environmental education, especially coming from a variety of backgrounds. However, the accessibility and hands-on nature of these classes left me feeling impressed with the engagement of the kids, but also hopeful that they genuinely ended the program feeling more knowledgeable and responsible for the future of our oceans. Overall, I’d say the program was a fantastic success!